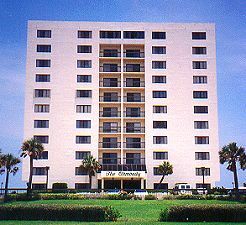 Sister building to Sandpoint, this ocean front building offers one, two and three bedroom units. Amenities include an oceanfront pool, penthouse clubroom, underground parking and more. The Ormondy is located in a car-free beach zone. Oceanfront pool with sundeck and cabana. The Penthouse Clubroom offers residents the perfect place for social gatherings complete with a full kitchen and bar area. The room is enclosed on three sides with floor to ceiling windows providing guests with beautiful views of the ocean and coastline.